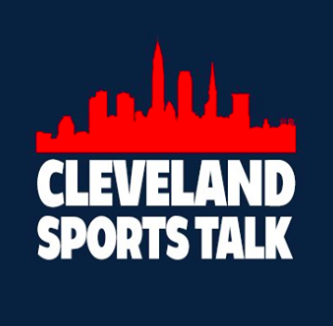 Before the 2018 NFL campaign began, the Cleveland Browns knew they were weak at the position of wide receiver. Even after inking former LSU standout Jarvis Landry to a long-term deal, the Browns were still deficient at the position, though Landry’s presence made a significant impact. We all saw the rah-rah speech from him on Hard Knocks, then we all witnessed the departure soon thereafter of former first-round pick Corey Coleman (who is still on the practice squad carousel, now with the Giants). 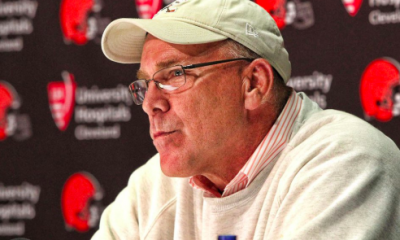 Some said good riddance, others wondered what GM John Dorsey was doing with an already depleted wideout squad. A few games into the season and what was supposed to be one of our worst areas on the team started looking rather promising. Landry was doing exactly what he was brought in to do. 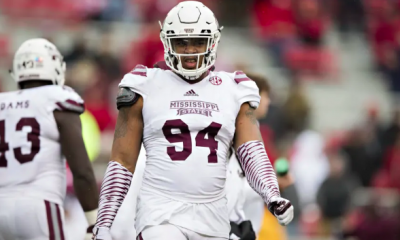 Antonio Calloway, though very much looking like a rookie at times, was also showing moments of flash and Rashard Higgins was stepping up his game becoming a frequent target of Baker Mayfield. Even with Higgins going down with an injury, things looked up once more when Derrick Willies found the spotlight and earned some impressive yardage. All good things come to an end, right? Isn’t that the saying, at least for now? 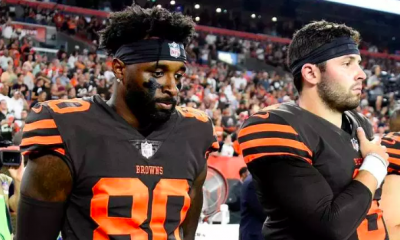 As we head into Week 7 against the Buccaneers, the Browns are once again facing the reality of a shallow wide receiver position since the injury bug won’t leave the locker room. 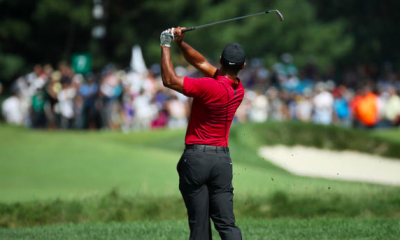 So in this merry-go-round of injuries, who’s where? Higgins is still injured. Derrick Willies went from a beacon of hope to nursing an injury. Ricardo Louis hasn’t seen the field yet this year. Even Rod Streater, who at this point feels like a backup to the backup, found his way to the injury list early in last week’s matchup against the Chargers. While Mayfield put that loss on himself, I do not. Who does he have to throw to at this point? Every snap I watched him take after Streater went down was like watching a man who wished a running play would have been called. In short, no one was open. It is imperative the Browns get this fixed with the urgency of a house fire. The problem is you can’t go shopping for the best talent when the store is closed. 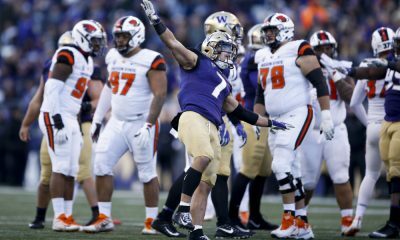 At this point, Dorsey will likely fill the wideout ranks with cast-offs from other teams simply because he has little other choice. I’m not even going to go down the Josh Gordon road. While I’m well aware of his growing success in New England, I’ll take that with the largest grain of salt I can find. That door is closed, time to move on, which brings us to the interesting case of big-name receivers and the possibility of a trade. While it wouldn’t involve a trade, I think we can dismiss the prospect of Dez Bryant playing in front of the Dawg Pound. He was already offered a one-year, $5.4 million deal by the Browns which he turned down. 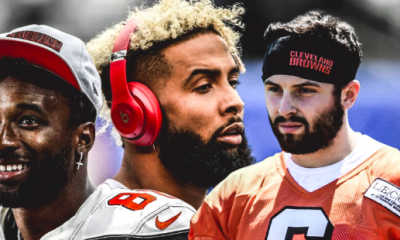 A bigger name than Bryant in the realm of wide receivers is none other than Odell Beckham Jr. Beckham has had his praises sung by former college teammate Jarvis Landry in hopes the team makes a leap for him. There is both a positive and a problem with pursuing Beckham. On the plus side, despite the monster contract Beckham signed with the Giants this year, the Browns have the cap room to take that on. In addition, we could use him. Good God in Heaven could we use him. The downside is he has a mouth and he certainly likes to use it. 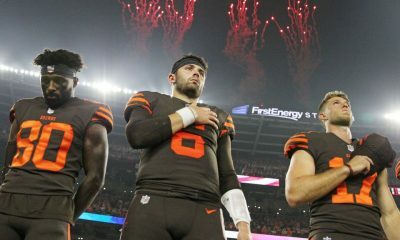 As we depart an era when the Browns had plenty of personnel distractions, the last thing we need is another turmoil catalyst here. Plus, what would be the asking price for him? If we would be offering up multiple first round picks, let me hop in my time machine because I’d rather make the trade for Khalil Mack if that’s the case. 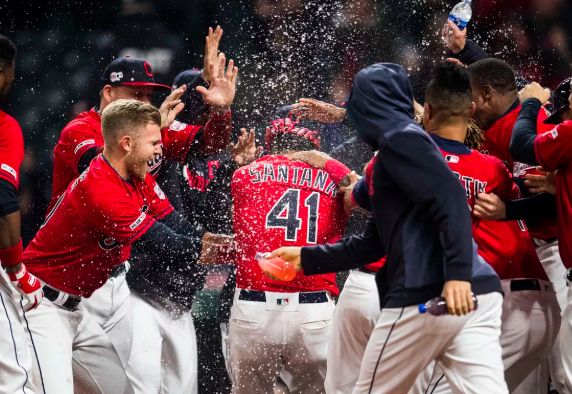 We need to win more than just four or five games this season. We should also be very aware that this is not a title run season for the orange and brown. Let’s not give away the future just for the here and now. Then again, Beckham is signed long term so there’s an easy point to argue in pursuing him right there. Regardless, we are hurting at the wide receiver position, both literally and figuratively. 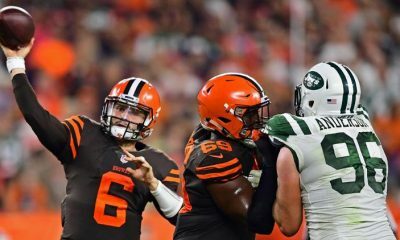 The first thing to come to mind in order to put a band-aid on the problem, for now, is to throw more often to Duke Johnson Jr. The guy has great hands, is a great athlete and has not been used properly or nearly enough since he was drafted here. Talk about a wasted asset. The next thing is to run the ball more. The Browns have the ability of great diversity in their running game with Carlos Hyde already showing he’s a bulldozer while rookie Nick Chubb has shown he’s no slouch either. Oh yeah, and there’s Duke Johnson again, too. 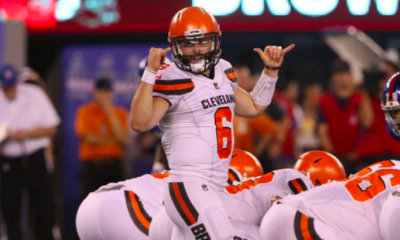 So as Baker Mayfield tries to make split-second decisions on who to throw to this Sunday, all of us fans will be wondering who that could possibly be, save for Landry. I would expect double coverage on Landry while third-string receivers try to break free from first string coverage. It’s not going to be pretty, but then again, no one said this sport was easy.